Count your pet’s heart rate while they are sleeping. It is a must have if your dog or cat has a heart condition and your vet recommends you track their heart rate on a regular basis. 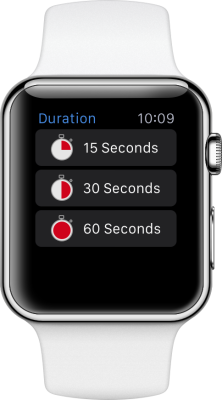 The Apple Watch will provide haptic feedback with each tap. This allows you to watch your pet breathing, rather than your watch. 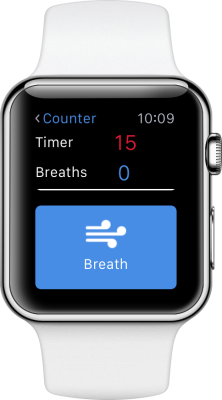 You will receive a haptic notification when the timer is finished and be presented with the total breath count. No audible feedback so you won’t disturb your precious pet at rest! 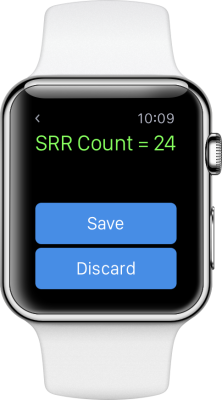 Please set the Apple Watch to silent to fully utilize this feature. Save your counts which you can view in the new History tab on your iPhone. Share a PDF of your results from the History tab.